breeding and showing for 37 years. all the time in the show ring. All our puppies have been microchipped. Hills puppy pack and nutritional support helpline. Both parents eye test certificate are given if asked for. Copy of the BVA/KC/ISDS litter screening certificate with your puppy pack. 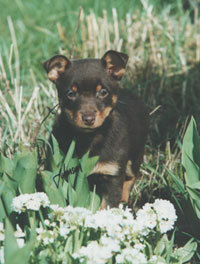 Both myself and the Lancashire Heeler Club will be here to help you with your puppy at all times. Help and support if you wish to show your Heeler or just be a member of the Club. The Swanndale website is here to help you. I am the Chairperson for the Club and will welcome you in to our lovely breed. Telephone 01942 676545 and I will give you a chat about our lovely breed.